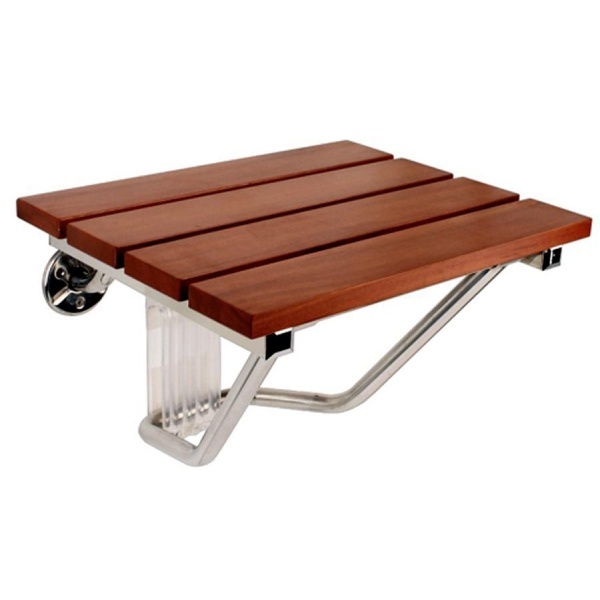 The elegant look of hand rubbed teak is a combination class with sturdy durability. Safe and comfortable with out sacrificing style our folding chair provides up to 250lbs of support, has a non slip surface and can be folded up to when not in use. A perfect addition to any shower or sauna room.